Weekend Roundup “H” | The Happy Wonderer ~ ellen b. 1. 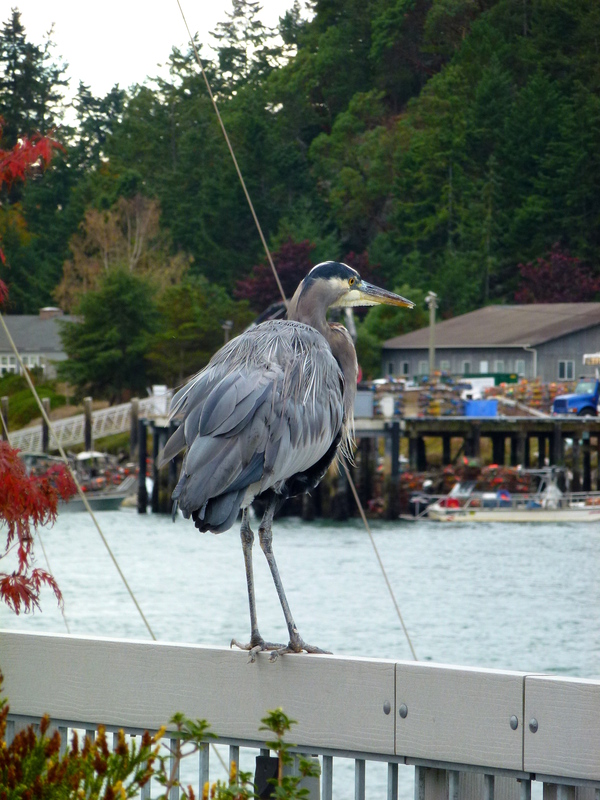 Starts with H: A heron hanging out. 2. A favorite: Happy kids hanging out together last weekend. 3. 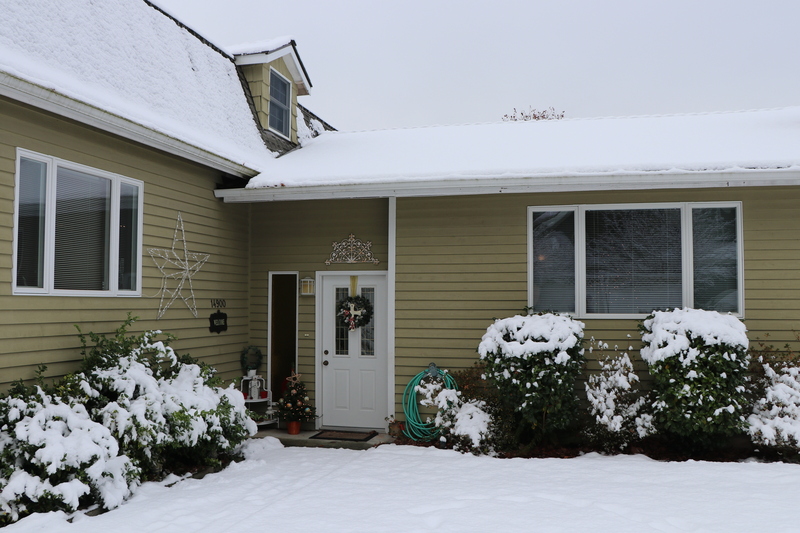 House: A front view of our house in the snow. A side view in the distance of our house in the Spring. Next week’s prompts Starts with “I.” A Favorite. Inside. Our inch and a half of snow is now all gone since rains came in overnight and melted it off the roofs and grass. Yesterday we re-arranged one of our spare bedrooms and it makes better sense of the room. I’ve been walking in there a few times just to enjoy the new look. We have a quiet weekend ahead. How about you? Posted on February 24, 2018 by Ellen •	This entry was posted in Meme and tagged Blue Heron, Family, La Conner, The Weekend Roundup "H", This Old House. Bookmark the permalink. Those are nice pictures of your house, Ellen. The second shows such a pretty setting it’s in. Family pictures,are most often favorites. I love the Heron pictures anywhere, you have a really fine one here. …Ellen I never seem to be able to get a shot of a “H”eron as close as you did. 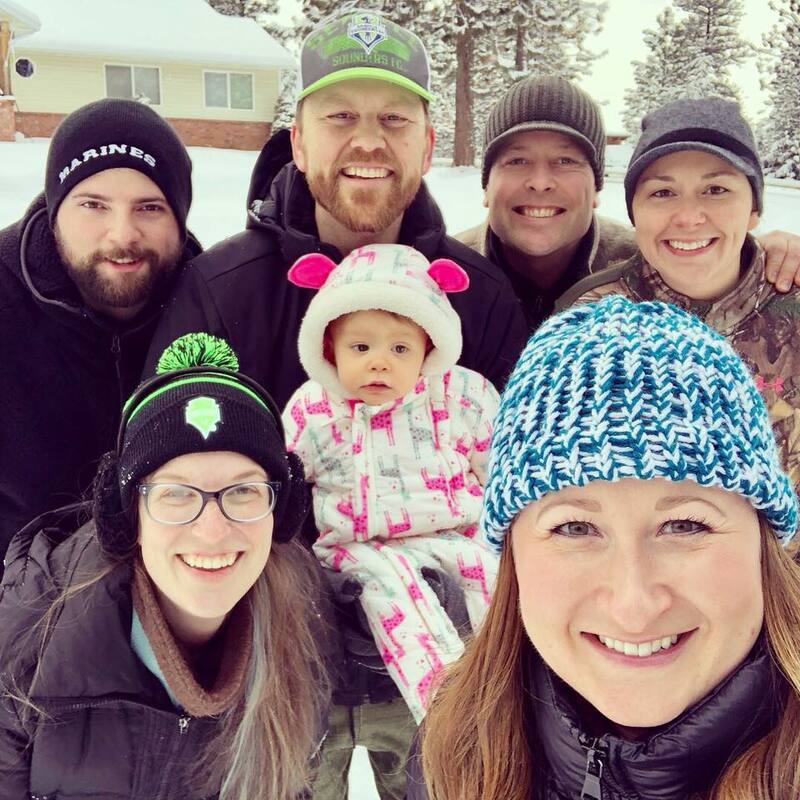 A great bundled up bunch! I like all the greens of spring! Thanks for sharing this week. Hello, Ellen! You have a lovely home. The family photo is great, love all the smiles. Great capture of the heron, it is a beauty! Enjoy your day and weekend! Yes, it looks like a happy crew hanging out! I like to go back and view my hard work several times after I’ve rearranged something too! Haha! Right you are. I totally overlooked that H! Happy “H”s you have there!! Ellen, you have such a lovely home. That side view is just gorgeous, as well as the front. With all of the updates you and your husband are making inside the home, it will sell quickly. This a fun one. I’ll have to try it sometime! The heron is so majestic – what a great shot. 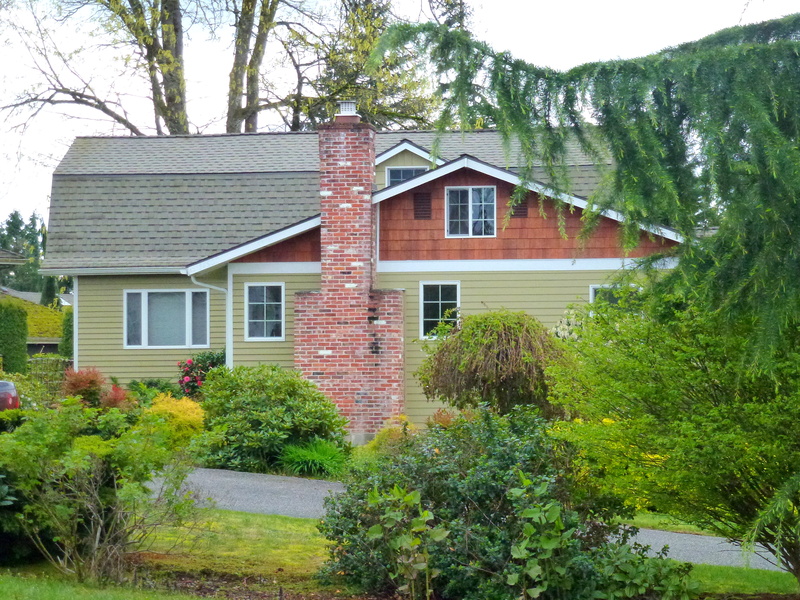 I love the cedar shingles on the upper side of your home. A lovely place to live indeed. Also lovely to see all the green of the gardens – I need a dose of green these days – tired of the snow!